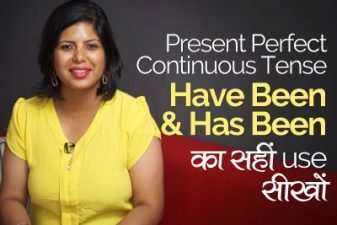 In this English Grammar lesson (explained in Hindi) you will learn basic English prepositions to form correct English sentences and speak English fluently and confidently. 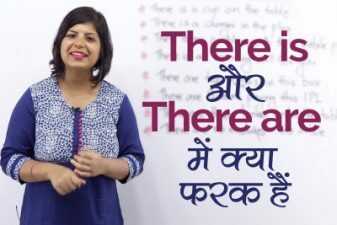 This Youtube channel focuses on learning English for people whose mother tongue is Hindi. You will find English lessons related to spoken English conversation, Grammar, and sentences you would use in your daily English speaking. Do watch all our English lesson to be a fluent English speakers and speak English confidently. Preposition (सम्बन्ध सूचक अव्यय) वे शब्द या शब्दों का समूह है जो आम तौर पर किसी Noun या Pronoun के पहले स्थित किया जाता है और वह Preposition उस Noun या Pronoun का सम्बन्ध किसी दूसरे शब्द से प्रदर्शित करता है. The word or group of words that is generally placed before a noun or a pronoun to express its relation to some other word in the sentence is known as a Preposition. निम्न वाक्यों पर नज़र डालें और इन में in, of और into के उपयोग पर गौर करें. देखिए ये कैसे अलग-अलग शब्दों के बीच सम्बन्ध स्थापित करते हैं. Observe the use of in, of and into in the sentences below. See how they establish relations between different words. Between – The plate is between the phone and the bag. In front of – I am standing in front of the garden. Next Next post: How to talk about your hobbies in English?